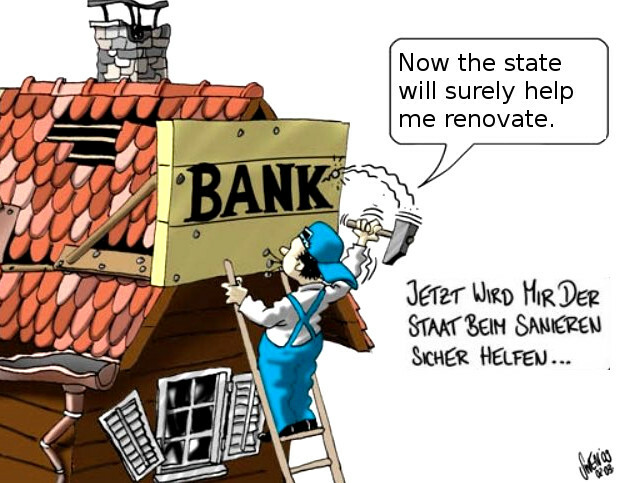 (a private bank can borrow 10$ from the FED or 10€ from the ECB of “real cash money” and lend out 90$ / 90€ in “artificial loan / debt created digital money” (“bank money” / Buchgeld, “checkbook money” / Giralgeld) and charge interest on that. If you pay back 10% of your loan, the bank’s break even point is reached, but it (of course) insists that you pay back 100%+interest or sell off your house cheap and fast. if interest rates are low – they simply charge more for the management of your bank account. They earn money – no matter what they do. wow. i hope his honesty does not get him fired.